﻿ Birmingham based quartet Blank Parody are aiming to put their names in the rock genre with the sharing of their debut EP. Following the release of various singles taken from the debut, they are now ready to put forward their full strengths in six tracks of enticing sound on A Tension. It’s a diverse sound that is hard to confine to a single genre, and that’s why they’re so charming. The whole EP is a relentless spin of catchy hooks and breakdowns, starting on a massive tune Dark Pretenders, hitting you with an impressive chorus that is incredibly infectious. With a cargo of quick paced guitars and carrying vocals, it is clear right from the start that this group know what they’re doing by their tight unit display. It is grungy and full of a grit that announces the band’s style in the best possible way: you are completely gripped and there’s no going back now. Further down the line, they present Marching Through The Smoke, easily a huge highlight for the EP. With such a simple introduction, it becomes thick with melodies in preparation for a succession of incredibly catchy choruses that make you want to join in with their energy. They aren’t afraid to calm it down towards the bridge, to then finish on swelling guitar solo and back to a fading vocal hook executed superbly. Underachiever, meanwhile, introduces a whole other side to Blank Parody’s sound. Conveying rolling guitar twirls and serene vocals that fastens in plenty of meaning. The choruses are incredibly worthy for mass amounts of swaying and even gets to show off some emotion behind the lyrics. They bring these tracks to a close with another curve ball of a track in the form of the quicker paced Snakes. The drums and overall rhythms are relentless, shifting from lightning quick to a more comfortable beat that allows the guitars and vocals to really take their time in the spotlight. The band’s first release is nothing but an impressive concoction of varying tempos and sounds that each show off their own enticing energy. The six tracks are diverse and incredibly unique, exposing formidable sound that is sure to take these band to new heights. It’s clear that they have a lot to give and this is only the beginning. 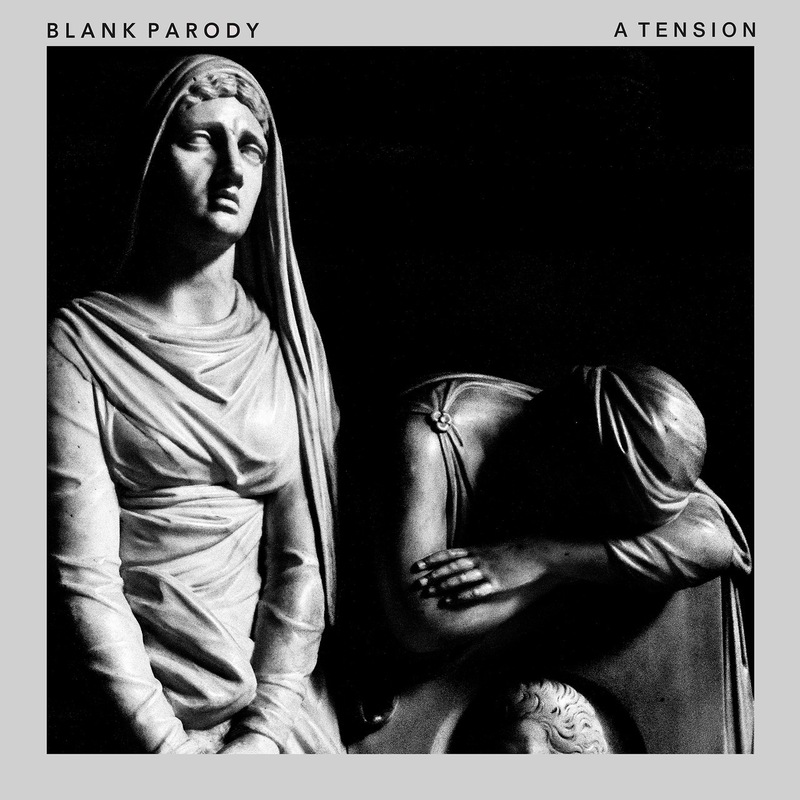 ‘A Tension’ by Blank Parody is released on 18th August.